This month I looked back at 2013 and realized that I hadn't shared some of my favorites of the year, so I tried to work a couple of storytimes around those. We also talked about the ALA awards. I liked Mr. Tiger Goes Wild when I first read it, but I didn't really appreciate it until I read it to kids. When I turned to the page where Mr. Tiger has taken all his clothes off, some kids laughed and others gasped--it was quite a satisfying reaction. Why, oh why is Bertie Was a Watchdog out of print? The kids loved the idea that they could help pick an award winner. We'll definitely be doing more voting next month. Bright and early this morning, Tara and I were in front of our computers watching the 2014 American Library Association Youth Media Awards announcements from Philadelphia. (Tara had the advantage of a video stream that was a few seconds ahead of mine, so I heard her reaction a few seconds before I heard each announcement. Ugh!) Many of our favorites from 2013 received awards; I was cheering along with the crowd. And the 2014 Geisel Award winner is . . .
And the 2014 Caldecott Award winner is . . .
And the 2014 Newbery Award winner is . . .
You can find a complete list of the award winners on the ALA website. How Did 2013 Stack Up? Whether you are still reading through your stack of 2013 books or you have started stacking your 2014 books, you might be interested in some of the recent award announcements. The 2014 Scott O'Dell Award for Historical Fiction has been awarded to Kirkpatrick Hill for Bo at Ballard Creek. Read the announcement here. Lemony Snickett is the recipient of the 2014 Charlotte Zolotow Award for outstanding writing in his picture book, The Dark (illustrated by Jon Klassen). I was thrilled to see that Sophie's Squash by Anne Wilsdorf was named as an Honor Book, and Big Snow by Jonathan Bean made the list of Highly Commended Titles. Check out the other outstanding books keeping them company on the lists. 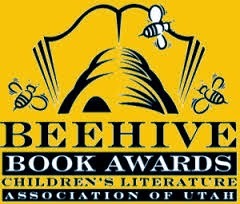 Our little ol' Mock Newbery here in Utah selected The Thing About Luck by Cynthia Kadohata as our winner on Saturday. We named If You Want to See a Whale by Julie Fogliano and Counting by 7s by Holly Goldberg Sloan as Honor Books. If you scroll down to the comments, you can read DaNae's summary here. School Library Journal's 2014 Battle of the Kid's Books is gearing up for another season. The contenders for this year have been announced. I look forward to reading not just the judges' insights, but all the comments. And finally, because I'm always up to reading a new book by Jennifer Holm, I'm looking forward to August when The Fourteenth Goldfish comes out. 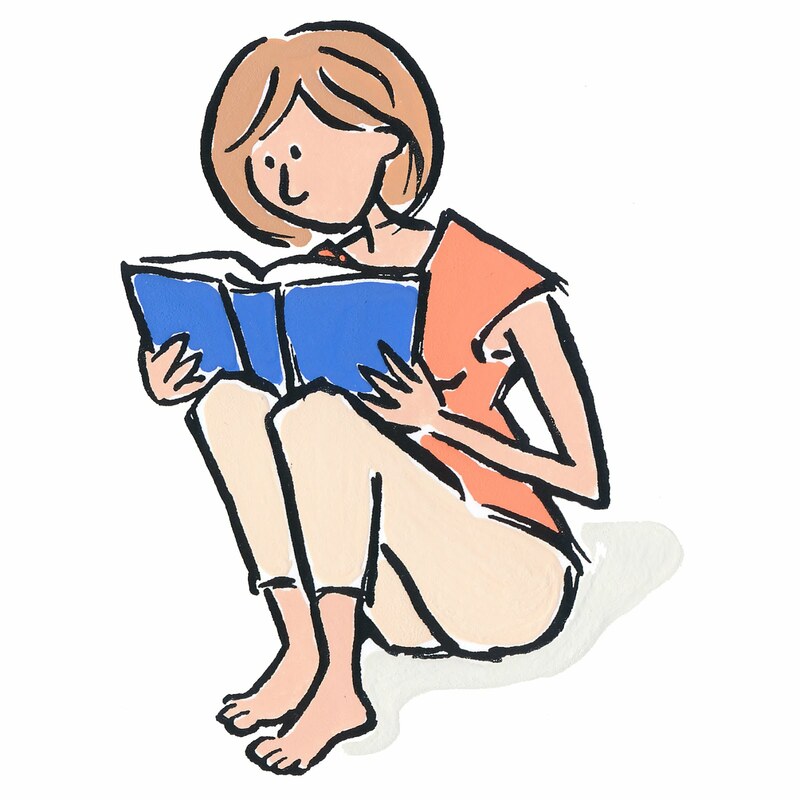 BookPage put together a list of their Most Anticipated Children's and Teen Books of 2014. 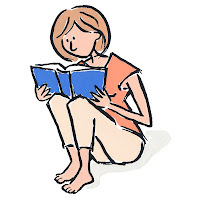 What are you looking forward to reading? Nonfiction often gets a bad rap. "True stories" are often deemed boring or unreadable and are put aside for fiction that is easier to digest. In reality, the true stories are the most important ones as we come to appreciate where we came from and have a better understanding of the world around us. Luckily, there have been some fantastic non-fiction books for younger readers in the past few years. Bomb, Amelia Lost, Stronger Than Steel, and Nic Bishop Snakes are a few that have topped my list. For even more nonfiction standouts, check out this list. 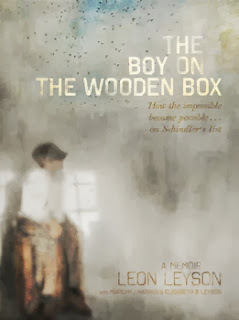 The Boy on the Wooden Box: How the impossible became possible . . . on Schindler's list is the memoir of a young boy caught in the horrors of the Holocaust. His story begins as a 9-year-old boy who lived a happy, relatively carefree life surrounded by family. As the Germans invade Poland, this existence slowing changed as he started to see the "limitless inhumanity and evil of this new enemy." Persecutions intrude on his life and his childhood slowly crumbles as he is forced into concentration camps and all basic comforts are stripped away. He is ripped away from his family and struggles to survive through intuition, perseverance and pure luck as he holds on to the hope "if this is the worst that happens." Unfortunately, that small hope is shattered as each time something much worse happens. Leon Leyson (with Marilyn J. Harran and Elisabeth B. Leyson) tells a story of heartbreak, struggle and loss at the hands of the Nazis, but ultimately gratitude to the man who saved him. Because of the kindness of Oskar Schindler, a Nazi who "looked [him] in the eye, not with the blank, unseeing stare of the Nazis, but with genuine interest and even a glint of humor," a man who would risk his own life to save nearly 1,200 Jews, Leon survived. After the war, Leon started a new life and put his terrifying past behind him. He married, started a family, began a teaching career, and rarely talked about his past. He "did not live [his] life in the shadow of the Holocaust." In fact, he until the movie, Schindler's List, came out, few people even knew about his past. When he decided to talk about it, "Friends, students and teachers asked [him] why he had never told them about what [he] had experienced during the war." They never realized what he had been through. Once he was ready to come forward with his story, he shared his experiences for the rest of his life, speaking throughout the United States and Canada. This memoir of a Jewish boy in Nazi Poland is not only compelling, without being graphic, but is also a stirring remembrance of a history that should never be repeated. There are many books that tell a similar story of the needless horrors inflicted during this time, but I would highly suggest adding this one to your library as a memoir that even young readers can appreciate. It's become a January tradition for me--shelving books that have stacked up during the previous year. This year my picture book shelving took longer than usual because each time I pulled a book from the 2013 shelf, my four-year-old thought we needed to read that book--immediately. So, instead of spending an hour or two shelving books, we spent a few afternoons reading. As I read 2013's books, I found myself looking forward to another January tradition--the ALA awards. This year the awards will be announced at 8:00 a.m. (Eastern time) on Monday, January 27. If you can't make it to Philadelphia, you can watch the awards here. Meanwhile, people are making predictions, holding mock award discussions, and cheering for their favorites. Robin Smith at Calling Caldecott had this to say about making predictions. And even though it is a "dreadful question," it sure is fun to take a guess. At The Horn Book you can read some educated guesses in One question for eight people: the Newbery/Caldecott edition of Five Questions. In other award-related news, YALSA announced the finalists for the 2014 YALSA Award for Excellence in Nonfiction for Young Adults way back in December. If you haven't read them all, you have a couple of weeks left before they announce the winner. And finally--news unrelated to the awards, but fabulous nonetheless--Kate DiCamillo has been named the National Ambassador for Young People's Literature for 2014-2015. You can find more details and read an interview by Travis Jonker (of 100 Scope Notes) with the new ambassador on SLJ's website. For the past year and a half, I have loved contributing to this blog. But I'm finding that as graduation nears, I no longer have as much time to read for myself, so today I'm writing my last post. I'm heading to college in the fall and looking forward to the challenges and opportunities that will bring. And of course, you know I will be following this blog to see what is new in children's literature. (And maybe sneaking in a book or two). Before I sign off, one last reminder that the Cybils finalists were announced yesterday. Some of my favorite books made it onto the lists. I was especially pleased to see two books that I nominated--The Rithmatist (Speculative Fiction: Elementary & Middle Grade) and The Boy Who Loved Math: The Improbable Life of Paul Erdos (Nonfiction: Elementary & Middle Grade). Sigh . . . see you in the library.